Need to stretch your travel budget? Ever thought about how you can save up on all the hotels and hostel expenses? Thinking if it’s possible to travel and get sleep free? Imagine how much longer you can stretch your travel budget when you don’t have to pay for sleeping. Great news – This is very possible. Below, you’ll find out all the ways you can sleep free while traveling without money, and how to choose which options can work for you. Today, let’s talk about how you can get to sleep free. And yes. It’s completely possible. 2. The surefire ways you can get to sleep free traveling nowadays, and how you can maximize these opportunities. Why bother writing about the first part? Because I have really wanted to address some comments against traveling for free. Although this is a minority among the readers, I can’t help but feel that there are some travelers that are feeling like this. You might have questions that are stopping you from trying to do the actionable steps provided in this blog. So let’s take a beat and talk about this. Different people have different dreams. Just like different travelers travel in different ways. That’s just the way it is. Taking chances on traveling without money, or with little money as possible isn’t something wrong. Nor is it the best way to travel for everyone. Honestly, it is not for everyone. It is not for the faint-hearted. It is not for those who love the luxury of materialistic travel – first class flights, chauffeurs, five star hotels. Traveling without money has its core on being with locals, living in the moment with utter simplicity, and experiencing the world in its real and natural beauty. It may sound cheesy in writing. But the only way to understand it fully, is to experience it. I know I have. And this blog is written for you to get your push and inspiration to experience the same now. I have traveled the “usual” way before and not until I have seen what traveling without money can do to you as a person, and how you see the world, did I start to really embrace this way of traveling. It is for people who feels happy learning with the locals, living with the locals – seeing, understanding, and experiencing how they live their lives. And how those lives connect to you. Traveling the world has its core on experiencing the world’s real beauty. Traveling without money may be not for a lot of people, but for me, it is. There are communities built to support this type of travel. It may also be for you. There is no way you should be thinking about how you may be taking advantage of someone else. This is the sharing world. Sharing freely. Being mindful. Being helpful. Being grateful. Everyone has a limited time, so we all make choices. Our choices make up who we really are. And for travelers like us, we choose to use our time, money, our life for this purpose. And we respect how others choose to use their time and money. And that’s what you need to do. Act on your dreams now and make the choice. Now, these words are meant to inspire you. To answer some of your objections. And how about getting to the juicier part? How to get to sleep free while traveling without money. Let’s check 28 solid ways on how you can sleep free on your long trip. Getting to sleep free is one of the most important things you can do when you are traveling on a very tight budget. There are various websites, organizations and communities that can help you get started on how and where you can sleep free. My favorite one is Couchsurfing. AND SIGN UP FOR AIRBNB WITH THIS COUPON AND GET $30 USD WITH YOUR FIRST BOOKING! Here’s how the site works. This is my favorite website, not only because you get the chance to sleep free, but also because you get to meet local people. From the moment that you reach your host’s home, you can get the experience of the local life. I’ve been using Couchsurfing for all my trips: Traveling by bicycle , hitchhiking, even when I’m using public transportation. This website gives you the opportunity to contact with local people. And not only that. The local people who are in this website are people who are already willing to share a space in their home for you to sleep free. That’s what the community is all about. Different hosts are of course giving different types of free sleeping places. Sometimes you may be sleeping on the floor, the couch, a bed, a caravan, a mattress, you name it. Also an important note. This site is actually for free. It will give you various reminders to “verify” yourself, but it is not required. Create a complete profile. And when I say complete, I really mean it. Do it once, and you never have to do it again. A complete profile will not only show that you take the community seriously, but will also help you attract hosts to help you sleep free easily. Hosts will be happy to have more information about someone that they will allow to stay in their home. You are giving them the chance to trust you easily. Fill out basic information like name, from where you are, where you are currently traveling in and what your current travel goals are. Tell them about your travel experience, your life experience, your philosophy in life. Focus in travel stories, since travel is a main interest of the community. You also need to fill out information about how you are participating on the site – only as a couchsurfer? Or do you also host? Are you just open for meetups? Just be your real self and fill out all the necessary information plus add more details about you and your beliefs. Once you have completed your profile, you can begin to send messages to hosts. There are various ways you can look for people. By age, by location, by gender, whether they host only women, or if they can host more than one people, for those traveling in groups. Send great requests so you can get better chances of being accepted. Try to send messages to more than one person to increase your chances of getting a host. Wanna know what hosts want to see in your request? Try unique, personal messages. Make sure to catch their attention by mentioning something about their profile. Talk about why you think you it will be great for you to meet each other. Spotted any shared interests? That’s a great way to start a conversation with them. Seen something interesting or maybe something you know that they don’t? Offer to teach or share to them some skill you have. There are also hosts that plan certain activities to do with their guests, so let them know in advance that you will happy with any plans they have. Think outside just getting a free space to sleep. Remember that these hosts open their houses for people who are traveling, and are giving away a part of their time to host and entertain guests. Reward them with kindness, good behavior, helping them at home, or spreading happiness. There is some misunderstanding from people who don’t belong to the community that this is only for freeloaders. That cannot be father from the real truth. Hosts from all over the world are happy to do it. Not because they feel pity. No, none of that. These are the people who believe and are fully integrated in the sharing economy. While you get to sleep free in their home, they get to experience meeting someone from another culture. They make new friends. They feel comfort in helping someone. They get excited about the possibility of hearing travel stories and the adventures that you’ve been to. They might be excited to show you their life, how amazing their home town or city is, and see how their country or town is appreciated by someone outside their culture. I have hosted so many times in my home town too. And it feels so good. That’s it. It could be just for one night, or a couple of days, but getting to know and to meet someone whom you otherwise would not have met because you are far from where they live, will bring you genuine joy. The site has evolved after a couple of years, and they continuously try to have great systems in place to make sure users get a good experience with the community wherever they may be. The site uses a system of references where in people can talk about their experience which will serve as a guide for other people. References help you know more about a possible host or guest. After meeting someone from the community, you can leave a reference on their profile, which any member can see and you can rate your experience as positive, neutral or negative. As a guest, make sure you are on your best behavior when you get your chance to sleep free. Again, give back. Extend help on their home, share your stories, be kind and friendly. The more positive references you have, the greater chances you can get hosts easily in other locations. Always remember that Couchsurfing is a cultural exchange. It is an opportunity to meet local people and live as they do. Sometimes you may be staying with a family, a man, a woman, or a couple. They can be living in the city, by the beach, on mountains, in a farm, or in a countryside. They can introduce you to local life, local food, their family and friends. And you get to experience all those for free. Couchsurfing lets you integrate in the local culture of your host. When you do couchsurfing, you need to do your best to socialize with the people who are hosting you, giving you a space to sleep free. You need to try to adapt to their schedule, and share your time with them. They are opening their home for you so why not do your best to be kind and friendly to them? Wash the dishes, clean a little bit, help in other home tasks. When I get the chance, I usually cook for them. Since I’m Spanish, I usually cook Spanish omelette for my hosts. The ingredients are easy to find everywhere. I usually like asking about their life, their routines, some talk about their family and friends. Hosts, in return, will usually like to ask about your trip. And since they are locals, they will give you really good advice about where to go and what places you should see in the area. They can give you inside details about places you can visit which are not very touristic (which are almost always expensive to see). They can even give you directions on how to visit some places in the city the local way. You can get more information about which destinations you can visit next. They can show your pictures, and you’ll hear insights from a local point of view. And since you are the foreigner, there is a pretty good chance you will find out about something you have never known before. Some travelers host when they are in their hometown, or if they are staying longer in one place and they have rented a space to stay for a certain time. You are not required to host. You are free to use the site only as a couchsurfer. However if you get the chance to host someone, return the favor to the community. I love receiving friends and showing them my town, my country or my family’s customs. I usually introduce travelers to my family and friends. I even try to teach them a little bit of Spanish, and of course, make sure I show them the beautiful spots in my city that they definitely need to see. Another option is to only accept meetups. There are some members of the site that do not have an extra space in their home to host, or that may be sharing their houses with members that are not open to couchsurfing. You can opt to just be open for meetups. These people are great too. You can meet up with people in a bar, stay with them in a park, go for a beer, walk with them, and just exchange stories. It’s also a great experience. Now, like everything we do in life, we should exercise proper caution. Couchsurfing has systems in place to help you keep yourself safe. Make sure you read references to see how people’s experience are with a certain host. If you can, try to read between the lines for neutral and bad experiences. To help others, also make sure you leave honest references. Don’t be shy to give a negative reference if you had any inconvenience or at least for the next traveler to have an insight about possible inconveniences. Regarding hosts who may delete their profile, you will get email notifications to help you get a chance to look for another host and make sure you will not have a problem to get a place to sleep free. There are more websites that embody the same community like Couchsurfing. 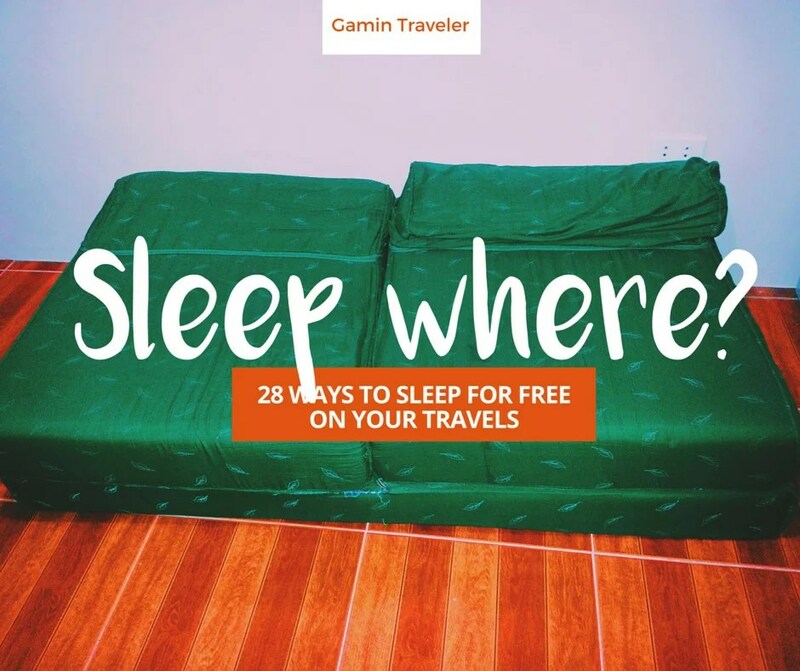 Some may be less popular because of less users, but nevertheless, still genuine ways for you to get a place to sleep free while traveling. Bewelcome is another community very similar to Couchsurfing. You have a profile, where hosts can view you. Newer than Couchsurfing, this website has fewer members and might give you lesser chances of getting a host. Give it a try and with a complete profile and compelling request, you might just get more chances to get a space to sleep free. Hospitality Club is one of the oldest communities that helps you get a chance to sleep free during your travels. Its similar to Bewelcome and Couchsurfing. It also has free registration. Global Freeloaders is also a similar community like the others to sleep free. Here’s the interesting difference: Here, if you are a guest, you would later need to host people. For example, if you’ve been visiting 20 hosts, later, you have to host 20 people. Global Freeloaders is also open for free registration. Belodged is very similar to Global Freeloaders. If you visit someone, you need to host someone. It is mostly focused on short stays, one or two nights to get free sleep. Trustroots is very useful for hitchhikers. You can sleep free and your host will give you the best advice on how to start your hitchhiking the next day. Your host can easily direct you the best points in town where you can get to hitch a ride easily, or who knows, might even know someone who can drive you. Warmshowers is a big community that usually allows hosting for free for short stays. It is intended only for people who travel by bicycle to sleep free and share experiences with people who love cycling . Nightswapping is not exactly for free. The main rule is for you to create a profile, show photos of the place that you are offering for people to have a chance to get to sleep free. Every night you host someone, you get one free night of getting to sleep free when you are traveling. Trampolinn works similar to Nightswapping. Every time that you host someone, you will get points. When you are traveling, you can exchange those points which you can use when you are the one traveling and looking for a space to sleep free. IF YOU PREFER BOOKING YOUR ACCOMMODATION IN ADVANCE CLICK HERE TO FIND THE BEST DEALS! This is a totally different way of getting a place to sleep free, compared to the previous ones discussed. With housesitting, you will need to take care of someone’s house while they are traveling or living abroad. This is a perfect sleep free chance for you, especially if you are on a time of your travel where you are feeling the need to rest and stay in just one place for a longer time. While resting, you can blog about your experiences and prepare for another trip. You will need to do some house tasks during your stay. Feeding animals. Watering plants. You can take care of a little garden or you may be fixing and repairing some things (will depend of course on your capability). When the owners are back, they will check if everything was maintained properly in their home. Here are different websites that offer housesitting options: Trustedhousesitters, Housacarers, Luxuryhousesitting, Mindmyhouse. This website is focused on long stays. Upon signing up, you will pay 29 USD if you are alone, or 38 USD if you sign up as a couple. Your host will show and explain to you all the work that you will have to do. They will show you pictures with all information that you need, your work schedule, and when the off days will be. They will give you information about the place, and possible things you can do on your free time. Workaways will usually offer free food and accommodation. This website has a good and organized system for giving you work options. This is another great option for you if you feel like you need some down time from your active travel. You can even meet local people, make new friends, and learn a new language. Woofing gives you a chance to work with organic farms. Upon sign up, you will pay 30 USD, and there are no other lower sign up options. This is a good option for you, if you want to stay in a particular place or country for a longer time. It could be a few weeks or even months. You can choose a country on the site which will give you a list of all the farms you can work with. You can possible hosts and they will in turn give you information about the specific work they will need from you. They will also inform you about the no. of hours you need to work, how many days in a week, and if there are weekly off days. Usually they will provide a house and food for you. They will tell you in advance if they are offering free accommodation. Aside from farms, you can also get jobs for hostels, camping, bars and restaurants. They also have a reference system where you are given the chance to leave either a positive or negative reference about your stay. Again, leave a good and honest reference. This will help the next woofer and your form of giving back to the community. Helpx is more focused on short stays. Farms and backpacker places are very usual users of this site. You can get free food and accomodation in exchange for some hours of work in a week. Some needs help fixing their home, some to tend their gardens for a few days or weeks. You can sign up for free. But if you want to see all the profiles, you need to pay 25 USD. Worldpackers is more focused on your skills. You will have options to choose your skill and the site will use that to give you information of the possible hosts you can stay with, plus information on how long you can sleep free on a place of a particular host. You can also get free food during your stay. Aupairworld.com is a famous organization. This one is also different from all the previous ones mentioned. Here, you will need to register, choose the country you want to work in, and then pick a family. They will ask you about your skills. They will interview you and ask you questions like how will you manage with the language differences (if applicable) helping the kids, and maybe helping in the kitchen. Examples of things you may do: drive the children to school, prepare food for them, Spend time with them and teach them a new language or help them with their homework. You will not only get a place to sleep free, but you will also get paid for the work and time you’ll be staying there. This is why you need to contact a prospect family in advance and let them know how long you are planning to stay with them. This is one of the more professional options among the list. If you don’t like farms, babysitting, or housesitting, you might like the sound of living in a boat. You can sign up and check options on boats you can travel with. The captain can then give you information on what type of tasks you can help them with. You may be an assistant when sailing, or you can offer to help fix the boat, or clean the boat before sailing. This site is free for all members. This option works especially well in Asia. Thailand, for example, has many temples. If you reach one by 7-8pm, you will be offered a free place to sleep for the night. Buddhist people love travelers. They will be able to practice their English with you. You can also meet a monk and stay in the temple for a few days, learning about their culture while you, in return, teach them your language. This option is works in Europe. There are many of them. I used them when I was cycling. These are good options to give your roof, during rainy days. If you talk to them properly, they will let you sleep inside even if they have to close at night. They will trust you that you will just need a place to sleep free for the night and you can just give them back the keys in the morning. If you will stay to sleep free in these places, make sure that they will not close at night. Of course, you can easily sleep free if you are riding a night bus or night train. This will help you travel and sleep at the same time. Here’s a site where you can check various information to sleep free. Sleeping in the airport is like in a hotel: You get a fancy toilet, wifi and sleep. Try to buy food before going to the airport. Prices are usually expensive inside airports. Sleeping in the airport is like in a hotel: You get a fancy toilet, wifi and sleep. Is there better place to sleep free than in a beach? You can hear the water and the waves, while laying down on the sand. First thing in the morning, you will get the best reward: the sunrise. Is there better place to sleep free than in a beach? A usual hack to sleep free in the city. If you have no more options, there are spaces waiting for you where you can spend the night. If you are traveling without money, you can ask hostels and camping places if you can sleep free. Tell them that you can help them in some tasks they need the next day. Don’t ever be shy asking for this. There is always a possibility of getting a no. But you never no when someone might say yes. They might also be able to provide you a little space where you can put up your tent. This is a just-knock-on-the-door technique. Ask locals if they can allow you a little space in their gardens to pitch your tent. If they cannot, they will usually advise you where to go, or maybe they can offer you to even sleep inside the house. I’ve been able to stay with Hare Krishna communities a few times. I like their ideals about living a simple life and eating vegetarian food. You can join them and help them with their tasks for a few days. You will not only get a place to sleep free, but you will also learn new things about their community and beliefs. 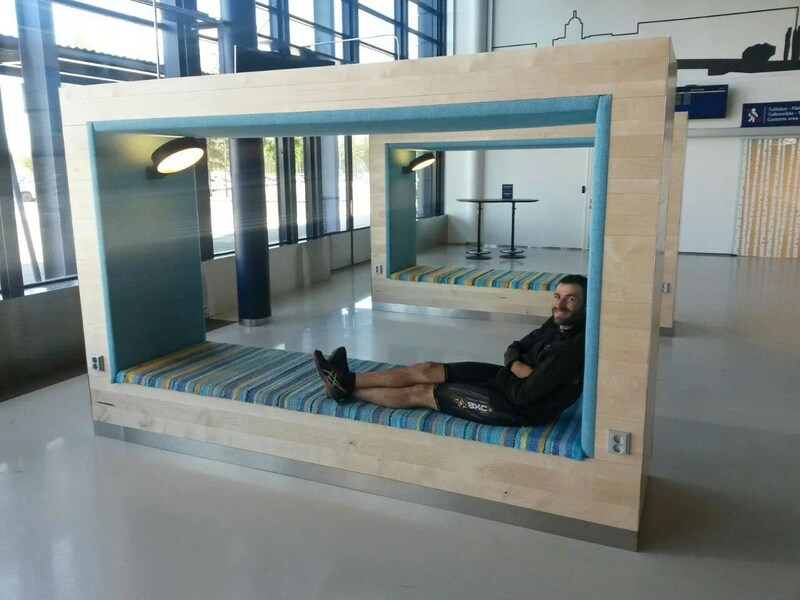 If you are hitchhiking, you can get lucky and get invited to sleep free in your ride’s house. To be honest, you almost always get this invitation if you stay friendly, sincere, fun and talkative. If your ride felt very comfortable with you and they want to spend more time listening to your stories, they can invite you to sleep at their place. If you have no place to sleep free, ask them and maybe they can help you. They can even let you put your tent inside, give you a space in their couch, or just tell you where you can sleep free. If you want have a good rest, you need to choose the right place for camping. One important thing to note is that some countries don’t allow pitching tents. For example, its not allowed in Spain, France and Denmark. This doesn’t mean you can’t use a tent. You just need to be very careful where you put up your tent. Under a roof is a perfect place, to cover you from rain or wind. This might be tricky to find. If you can’t find any roof, try to pitch the tent in the flattest place you can find. This will be comfortable for your back. Avoid stones as these will be too uncomfortable, even when you are sleeping on a mat. In my experience, pitching the tent in a flat place can also help in days that are raining. The rain can make sleeping feel bad for you. Usually, after an hour of raining, it will be humid inside your sleeping bag, and you should be ready for the cold. Another option is to choose to sleep close to a river. You can bath and wash your clothes, and get water in the morning, before heading for your bike trip. Make sure before going inside your tent, that there are no mosquitoes. If there are any mosquitoes that already made their way inside your tent. You need to try to remove them, so you won’t experience an uncomfortable night. Also, pitch your tent in a quiet place, far away from the noise, to have a good rest. If you make a fire, make sure that you put it off before leaving. Out of all these 28 options, I have successfully tried 13 of them. Not that the others are not working. But because I have found my favorite ways of how I can get to sleep free when I’m traveling. I highly encourage you to try one. Try it even if you’re not in it for the long haul. Trust me when I say the community and the sharing will be intoxicating and that you would be happy to add these experience in your box of treasured travel moments. Buen viaje my dear friends! Had never heard of couchsurfing. What a great idea. An great example of what’s been called the peer sharing economy. Be sure to try it out Ken! It’s one of the things I really look forward too when traveling. Met so many amazing people through couchsurfing. I don’t think you should feel humid in your sleeping bag after its been raining a while. There might be something wrong with your sleeping bag if you have experienced this… If you can afford it, buy a Thermarest camping mattress. These seem to be the best brand on the market – everyone I know who uses them, raves. I do now too that I’ve upgraded from other brands and options that let me down. I’ve got a winter mattress. It only weighs 400 grams and is small. It comes with its own little pump and now i sleep really comfortably when camping… It’s even more important when travelling in cold climate to have a good mattress to insulate from the cold ground. If you don’t have a mattress, spread your clothes under your sleeping bag, and stuff things in your sleeping bag sack to make a pillow… In really really cold situations, collapse your tent on top of you if its not raining. Once i just wrapped myself in my tent rather than put it up… I also once turned my water bottle into a hot water bottle to help me keep warmer. It did ruin the seal because the water was too hot but good idea in an emergency. Maybe better to use a normal cheap plastic waterbottle for this purpose so long as the lid doesn’t leak… Don’t pitch your tent under eucalyptus trees as sometimes the branches fall and have been known to kill people. In France i did about 70% wild camping. If i couldn’t find an obvious place to hide myself, i would ask a local and find some nice place but I never could see how to ask at churches as they were always closed. Should I have gone in search of the priest? …When camping in public places, leave early in the morning and set up late and do not linger around throughout the day. In cities in Japan, I camped sometimes along the rivers and so long as not too many people are seen to be doing this, we will be able to get away with it. I usually try to camp near public toilets. But if it happens too often, too many people, people leaving rubbish, lingering around too long, they might start moving people on as they do where I live. In fact here they fine illegal campers because of so much abuse of the free spaces, so free campers must always be ultra sensitive to the local environment. …One of my biggest bugbears is travellers leaving toilet paper around. Travellers of all stripes must learn not to do this as the paper does not decay very quickly and it leaves a very bad look. Usually you see it in nature which is worse.The faeces will quickly dissolve into the ground but not the paper. Burying it does not work. It gets dug up by animals. So please find other ways to stay clean. And if you must use toilet paper, take it away with you until you find a bin to dispose of it properly. Hey Andrea, this was an amazing reply! I appreciate you spending the time to type all this up. I will definitely look into all those materials you mentioned and see if there’s a possibility I can use any of them. And I definitely agree with the waste disposal. You sound like you had your fair share of great camping stories! An interesting and informative post. I liked the quote – different people with different dreams. I have written a similar post about apps. that you could use for your travel. Thank you Kash. Send me the link here about that post so I can check it and we can share it to more people 🙂 Are you also traveling now? Hi Stephanie, thanks for your comment!Rachel told me about your story and your trip. I will follow your stories! Have fun! Many thanks for sharing your experiences. There are some great ideas and a lot of useful information here. Thanks Keith for reading! I hope that the ideas are useful for your travels. Are you planning to travel? Obviously written by people who have never travelled. Thanks Robert! It looks like you ‘ve been traveling a lot. If you have better recommendations. I would love to hear. I respect your travel experience! Thank you very much, Rash! I hope it was super helpful for you. amazing post, very helpful, thanks! – checking before if it closes during the night doesn’t just appliy to train and bus stations, but also to local airports. Thanks Nina for your information! It happened to me in Sydney, they closed the airport and we slept outside. It was like a waiting room. Hammock, I forgot to add. I think it’s different as wild camping. I will update as 28 + 1. I ‘ve been using hammock for sleeping. I uploaded the picture but I forgot to talk about that. I ‘ve sleeping also in the truck in South America but never under the truck hahaha. I ‘ve sleeping inside a bar too. Hey Nina, thanks for your useful tips, so about the hammock, how do u keep you backpack safe ? I travel a lot and didn’t know half of some of your websites, great ideas, cheers!! Great compilation of info. To anyone who says it can’t be done- I was in Western Europe for 4 months and spent a total of $1500 USD including all food AND airfare from the US. Do it!!! Thanks Rachel! The airfare is the most expensive. After that, there are many trips to spend little money. There are many things for free in Europe! Yeah! Do it!! Like your blog post. Good information. I’ve stayed with friends, friends of friends all over the world. Staying with locals is by far the best way to experience the world – couchsurfing and others have made that more accessible to the average traveler. Five years since I first heard about cs, and with a more complete understanding of the roots of the community, I now know the truth: Couchsurfing is one of the coolest movements to emerge in my lifetime. Long time using couchsurfing. I’ve been using 5 years for surfing and hosting. I enjoy every time that I’m gonna host someone or meeting someone. I know that they are gonna tell me great stories about traveling . It’s great to have a local friend just arriving to the city. Fabulous information. We will share it with independent travelers visiting Kodiak, Alaska and Alaska in general. Many of the services don’t apply here, but hey, you gotta start somewhere! Thanks again! Thanks for your words Marion! I hope is useful the information for the independent travelers! You have an impressive list but you missed Servas. Servas is an international organization that connects travelers with hosts. It began in Denmark after WWII. I recently traveled in S. Korea and stayed with a wonderful Servas host family there but I have also stayed with Servas hosts throughout Europe and the US. Definitely worth looking into for anyone who wants to connect with locals and to learn more about the culture. Each country usually has a website and there is an international one as well so just do a search for Servas. Thanks Rita for the info! I’ve never heard about servas. I will check how is working! It looks great! I used SERVAS a few years back and had AMAZING experiences and have several friendships that I have maintained over the years. Can’t recommend SERVAS enough!!!! Great Fenris! Meet up is also really good to make new friends! Thanks Josiah! They are very helpful for traveling cheap and meeting local people. It’s great that you start hosting. I hope you can also use for your travels. Hey Ruben thank you for writing th beautiful and inspiring funny tips. So when camping outdoors how do you manage to go to the bathroom and take a shower ? Some great ideas that I never thought of before. I hope you find useful for your trips! Are you planning a trip Lynn? I’m on the Couchsurfing website now and it’s asking me to pay $20 to get “verified”. Is that legit? Hi Sunney, thanks a lot! Yes, couchsurfing verification is legit. It´s a way to show on your profile that they have verified you details, and it comes with a charge. However, it´s not a real requirement. 🙂 Your account will work perfectly well (only without an extra green link “verified”). I haven´t verified mine, and most of who I know. You should see an option to skip that. But hey, if you wanna do it, I´m sure the site will love you more! 🙂 Let me know what you decide to do finally. Airport beds on your photo seem comfy I wouldn’t mind it. Thanks! you help a lot of people out there. Glad you still liked it, Vinneve! Are you not traveling anymore? I discovered many of them while traveling. You can stay active in some communities if you like them! I’ve been a member of Couch Surfing for nearly a decade and had some wonderful experiences. While I was only the guest once, I have had many wonderful people share a night or two, a simple meal and of course our lovely French wine! Wow, Lea that’s amazing 10 years is long time! I’ve been hosting and surfing. Lately more hosting than surfing. This is about to be the BIGGEST help to me as I plan my trips in the upcoming weeks! I love looking at your stuff and I find it so helpful as I’m studying abroad– literally lifesaving (lol) is happening for this first time itinerary planners! That´s great Atoria, where are you planning to travel? Are you planning a long trip? Ihope that you find useful the posts! So many possibilities! Who knew? Well this is not for me, but I bet you have crossed paths with any one of my sons who all use bicycles to travel. Thank you for deciding to follow my blog, I hope it gives you joy. Great post. Makes me wish that after living one good lifestyle, we could be young enough again to try another. I love meeting new people and learning about different cultures, and it is sure a lot easier when traveling your way. Taking your home with you, as we do, is a good alternative for seniors who for various reasons have more necessary “baggage” . I look forward to reading more of your posts. Thanks for following my blog. We have occasionally offered a hitch hiker a ride in our motor home, with the option to sleep on our couch if they are ready to stop for the night where we are. If you travel in Canada or the US, maybe we’ll see you on the road sometime. That’s great experience meeting hitchhikers on the way and so nice offering a couch. I think these websites are very helpful for traveling. Another option for women is 5W, WWWWW, Women Welcoming Women World Wide, sometimes for accommodation and sometimes just for a friendly meet up with someone who has local knowledge. reservations). For maybe the older set, or want to feel more secure, have restroom/shower, etc. Thanks, again! Thanks for your info Randy 🙂 We are glad that you liked the post! Thank you, Ruben and Rachel! I hope you don’t mind if I just added you to my Surf page for people to find, because you’ve written the definitive guide on travel for free (if you do, I’ll take it out). Your research is a storehouse of much-needed information in an emerging market and should become the classic example. Add us to your Surf page 🙂 Thanks! Thank you for sharing. I feel like I have been in a box all my life hehe! Next month I am taking my first trip that will require me getting out of my comfort zone. I am biking the Camino de Santiago by my self. Something I have never done before is travel with out friends or family. I haven’t traveled much but always had my trip planned out when I did. I always new where I was staying, so this is really new for me. I am excited to see what happens. Again, thank you for all the information. Thanks Carlo, how many of them did you try to sleep for free? 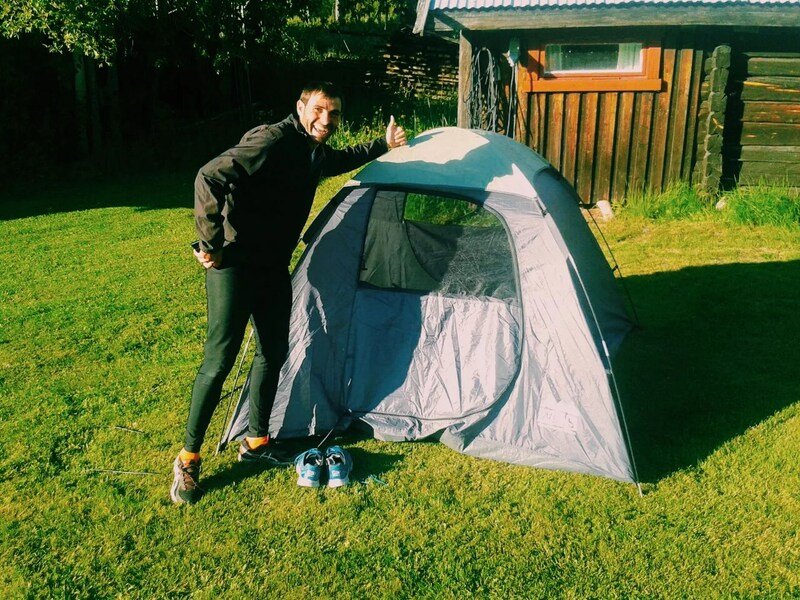 These are some amazing ways to spend less money when travelling, Ruben! Pingback: Traveling without money in Africa - is it ethically right?